This is our Painters and Decorators website design portfolio section. We have several clients in this industry and that helps us design the perfect website for a Painter / Decorator which ranks well in search engines, looks great and adds credibility to your business. 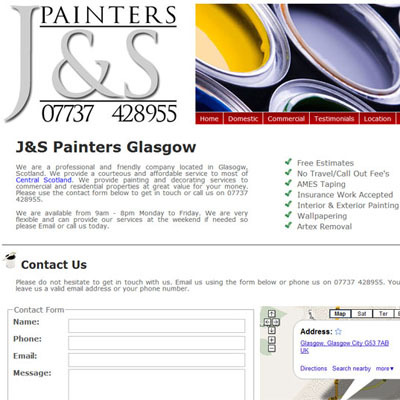 Most people will search online for more information about a Painter and Decorator even after seeing the business name on a flyer or billboard which is why it is essential to have a website. Get in touch to see how we can help design a website for you.